RC Tennis has been selected to be part of the Blueprint for Success Capacity Building program for 2019-20. 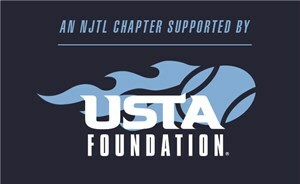 This program provides funding and program support from the USTA Foundation and the Southern Tennis Foundation for our NJTL after school and summer network connecting tennis and education. We use Community Coaches and high school and middle school interns to provide this program on site at our partner locations and on the tennis courts of Rockingham County. RC Tennis has been selected to be part of the Blueprint for Success Capacity Building program for 2019-20. This program provides funding and program support from the USTA Foundation and the Southern Tennis Foundation for our NJTL after school and summer network connecting tennis and education. We use Community Coaches and high school and middle school interns to provide this program on site at our partner locations and on the tennis courts of Rockingham County. In 2019, we will be adding a part-time teaching position to our summer program to lead our academic enrichment.